March 2014 - Hello! Welcome to my blog! Guess what?! 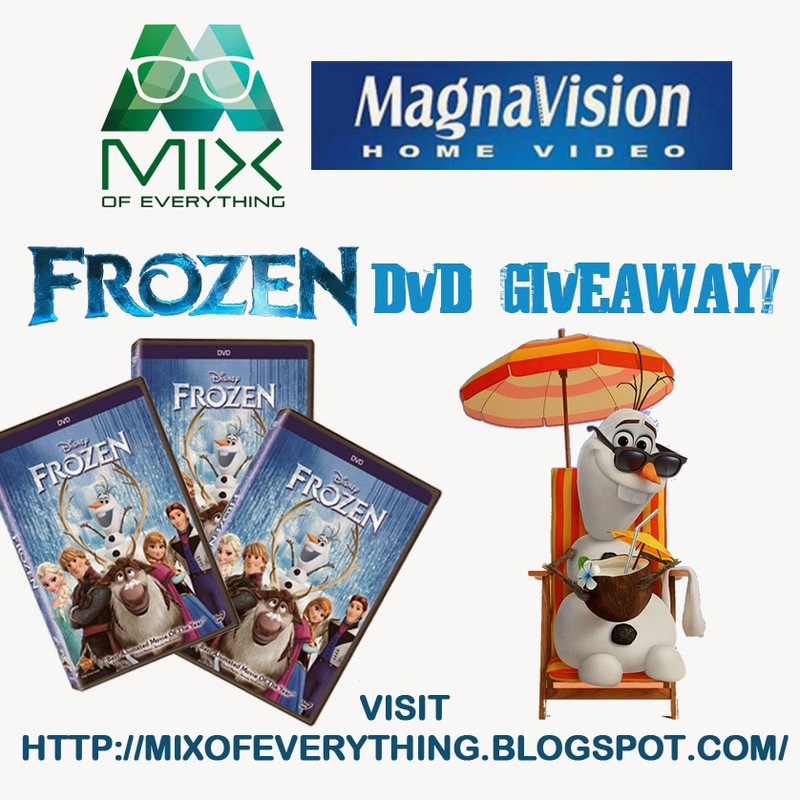 Mixofeverything Blog and Magnavision Home is giving away three awesome FROZEN DVDs!!! Who wants them??! For information on FROZEN, check out my previous post right here. Last March 20, 2014, the living magazine channel Colours together with Cignal Digital TV made Philippine gustatory history. Why you ask? Well the amazing tag team was able to bring to the Philippines one of the greatest culinary icons of all time. The Iron Chef, Chef Geoffrey Zakarian here in Manila. 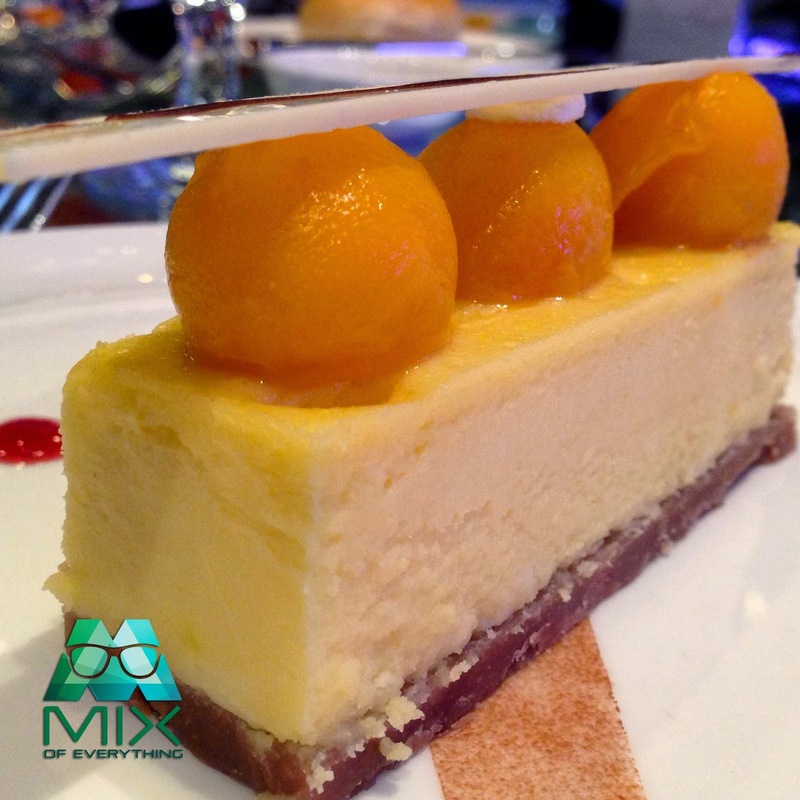 Foodies and chefs all over Manila went crazy and wanted to have a bite of Chef Zakarian's creations. 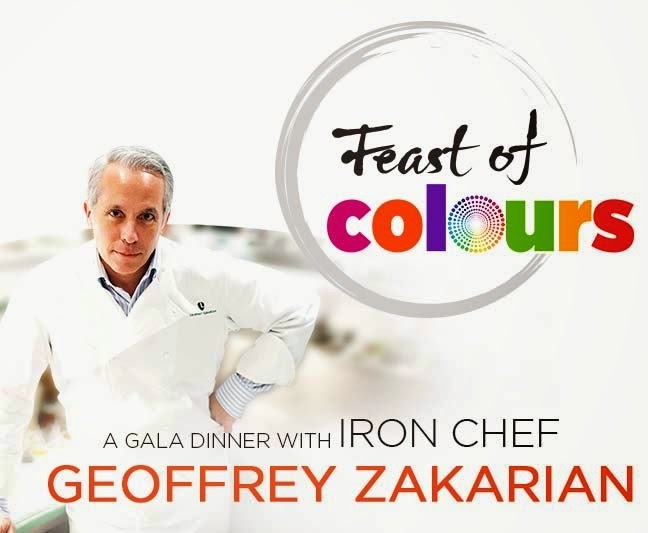 The Iron Chef is had a dinner gala at the Sofitel Philippine Plaza where he whipped up a one-of-a-kind five course meal for the most discriminating foodies in the country, the event was called "Feast of Colours". 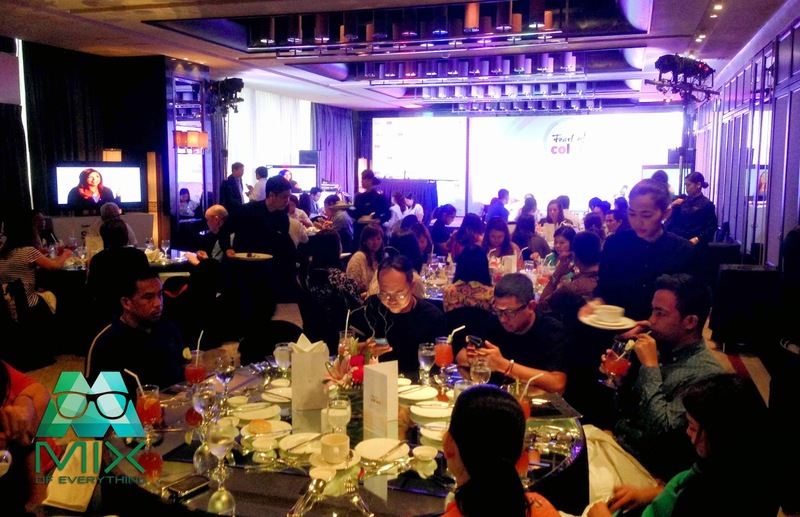 Aside from the dinner, diners were treated to live music courtesy of Philippine Philharmonic Orchestra with Broadway and West End veterans Isay Alvarez and Robert Seña. The event was indeed a dinner gala of a lifetime, the proceeds of the event went to the Philippine Disaster Recovery Foundation (PDRF), the country’s first permanent, year round private sector vehicle for disaster management. Although, we weren't able to be at the actual dinner gala, we were able to participate the Media luncheon earlier that day where he also attended. We got a bit of a taste on what was going to happen that night when we saw the menu on our table. Yeap you read right. 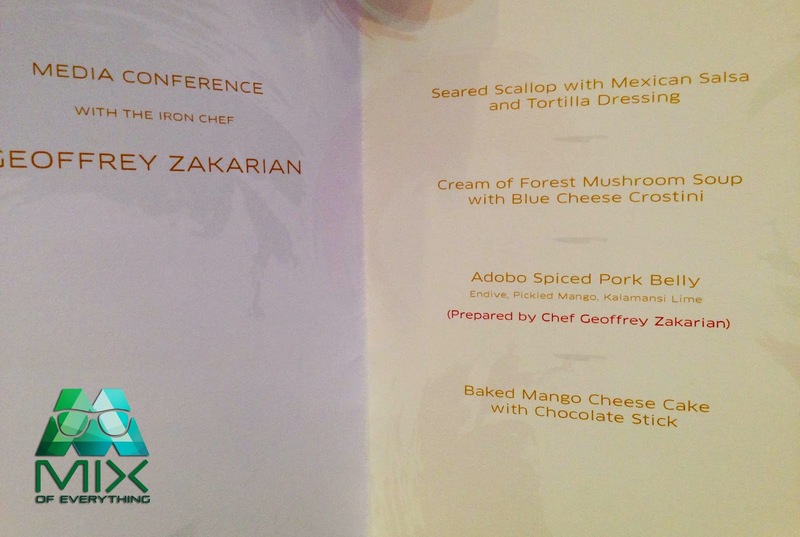 Chef Zakarian made his own deluxe version of Adobo. Check out our food that day. To me the Adobo Pork Belly sure was a nice surprise. Zakarian's own BBQ sauce wasn't that strong and was just right. It included roasted rice, cocoa and cinamon. The rice added a texture that we dont normally get from an ordinary homecooked adobo dish. The pickled mango was a nice touch and ender for the belly. 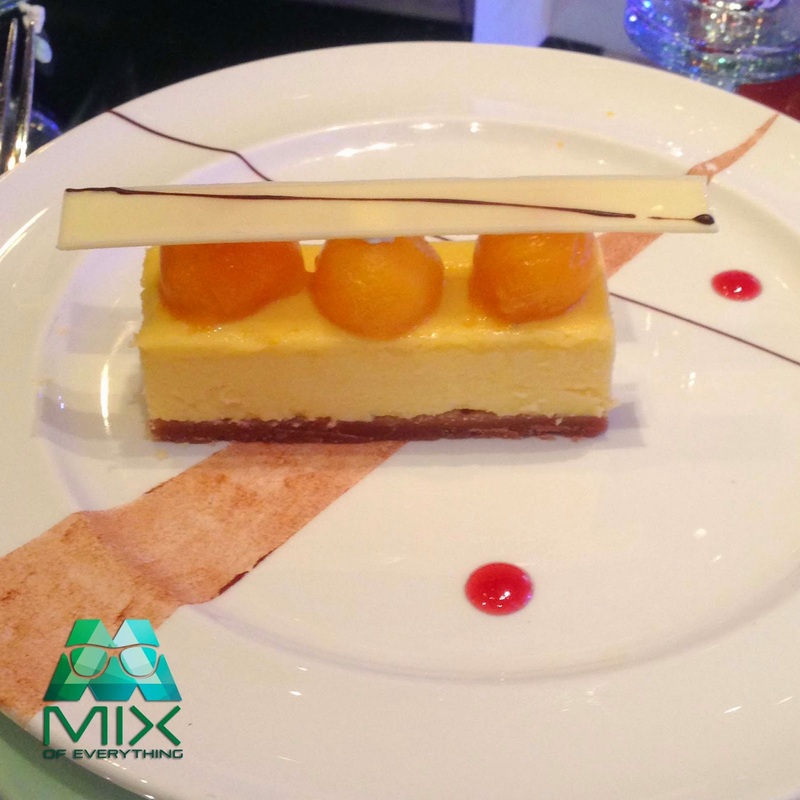 As for the dessert, Baked Mango Cheese cake with Chocolate stick. Yup. It was good. The main course that gala dinner night was ofcourse, quintessentially Filipino dish of all, Adobo. Adobo is already a mix of several taste elements, but Chef Zakarian’s Adobo had a very deliberate and harmonious balance of flavors. Apparently, to prepare for the event, he experimented with several kinds of vinegar to see which would produce the best result, he also played around with different pork and chicken cuts, eventually settling on pork belly. For a final twist, he also added a few ingredients not typically found in Adobo, that he had found added something extraordinary to the flavor. The result was an incredible mix of evocative, well loved flavors and textures mixed with new sensations that all at once seemed exotic and new, yet integral to the dish. Feast of Colours was the second ultra-high-end lifestyle event organized by Colours for the benefit of a charitable organization. In 2012, Colours and Cignal Digital TV culminated fashion week with the Colours Gala, a fashion show featuring the 2013 collection of former Harrods creative director and London-based fashion designer Lesley Mobo. 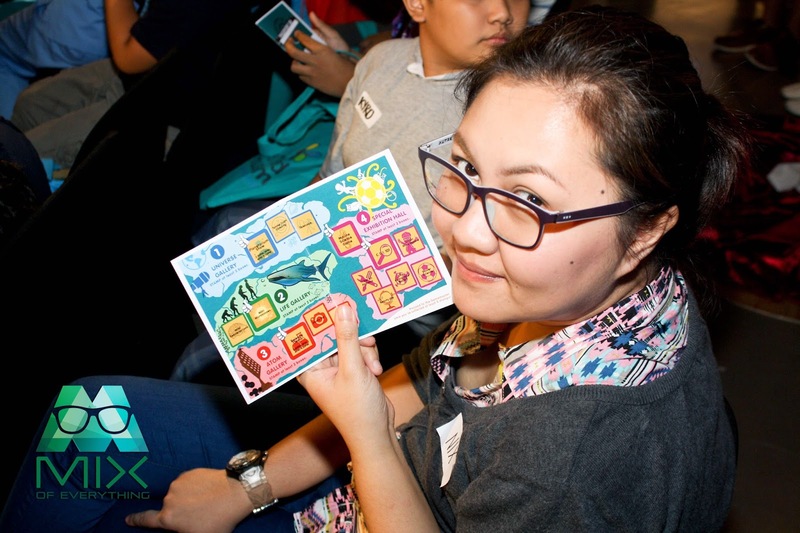 It was after that event that Colours made a commitment to hold similar lifestyle events on a more regular basis. Colours the magazine channel is about loving and celebrating life. There is no more universal way to celebrate life than enjoying good food. In every nation and every culture, good food is integral to every celebration. When food is as great as it was for Feast of Colours, the food itself becomes the celebration. Colours went through great lengths to ensure that the food for Feast of Colours was a fusion of Asian and western cuisine of unquestionable world class caliber, which is why from among the many celebrity chefs who appear on Colours’ many cooking shows, The Next Iron Chef Season 4 winner Chef Geoffrey Zakarian was inevitably chosen. 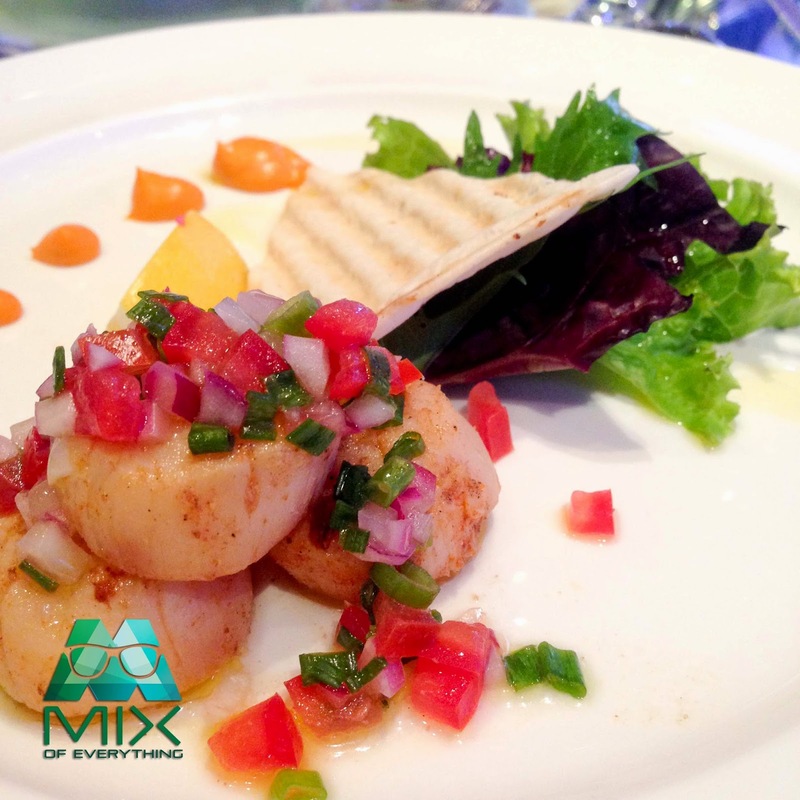 Winning the Next Iron chef represents the ultimate bragging rights in the culinary world. Contestants on the show are all already extremely accomplished. There are no chef wannabes or self-styled home chefs on The Next Iron Chef. Combatants are either executive chefs or restaurateurs at famous restaurants. In Season 4 of the Next Iron Chef wherein Chef Geoffrey Zakarian emerged victorious, the competition was particularly stiff, most of the contestants had their own cooking shows, many were also judges on reality TV cooking competitions. That’s why Season 4 of The Next Iron Chef was aptly titled “Superchefs”. After winning Season 4 of The Next Iron Chef, Chef Zakarian took Season 4 3rd runner up and fellow celebrity Chef Alex Guarnaschelli under his wing as his sous chef on Iron Chef America. She joined The Next Iron Chef Season 5 and went on to win it; thus making Chef Zakarian the only Next Iron Chef winner to mentor another Next Iron Chef winner. 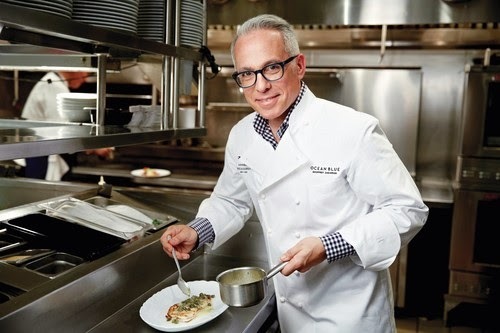 Above and beyond being an Iron Chef, and one of the most familiar faces on culinary shows where he has been a judge of many cooking TV competitions, Chef Geoffrey Zakarian is perpetually honing his skills and expanding his culinary horizons. 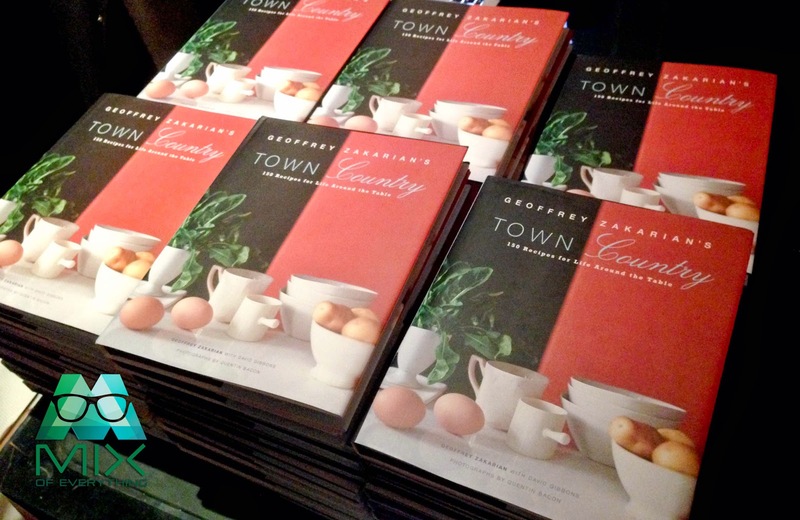 Having over the years presided over many of America’s most renowned kitchens, Geoffrey Zakarian continues to do what he does best. Currently he is the creative culinary force behind some of the most revered restaurants in one of the world’s culinary capitals, New York City. Chef Zakarian’s famous New York restaurants include the Lambs Club, and the National Bar and Dining Rooms. Most recently he was named culinary director of the iconic Plaza Hotel in New York, one of the most famous and prestigious hotels in the whole world. Having started with a bang this year, the Colours channel has much more in store this year. Watch out for new programs and eagerly awaited news seasons that will whet your appetite for the next unforgettable Colours event. 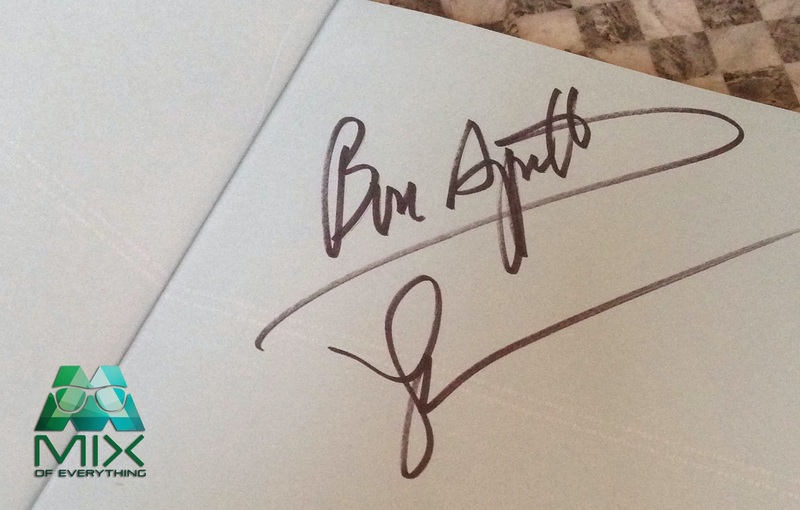 Oh and I was able to get Chef Zakarian's book autographed by the Iron chef himself. So... YEY! MANILA, PHILIPPINES – There is always something that draws collectors to a particular piece, be it the sense of romance or an air of nostalgia. 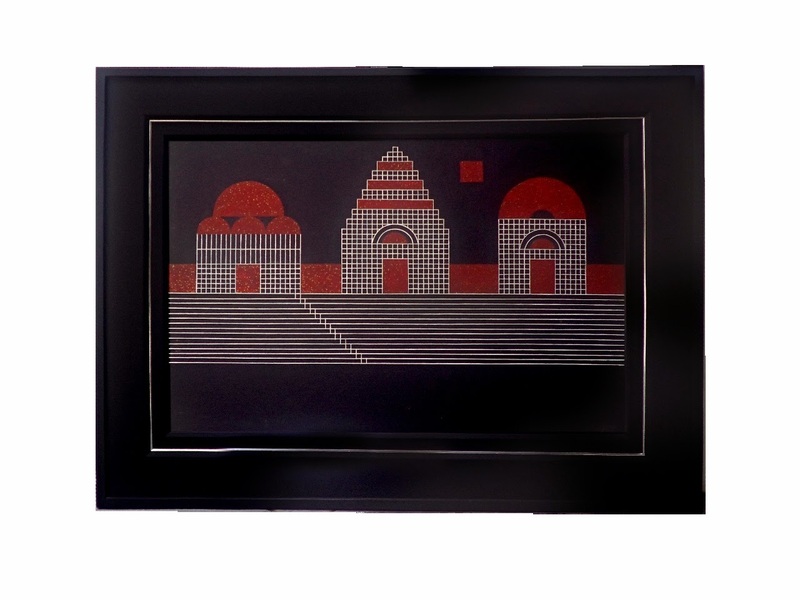 The Harringtons Lifestyle Auction is a new event debuting on the Manila auction calendar, which captures this Old World feel and spirit of nostalgia in its recent, carefully curated series of collectibles. 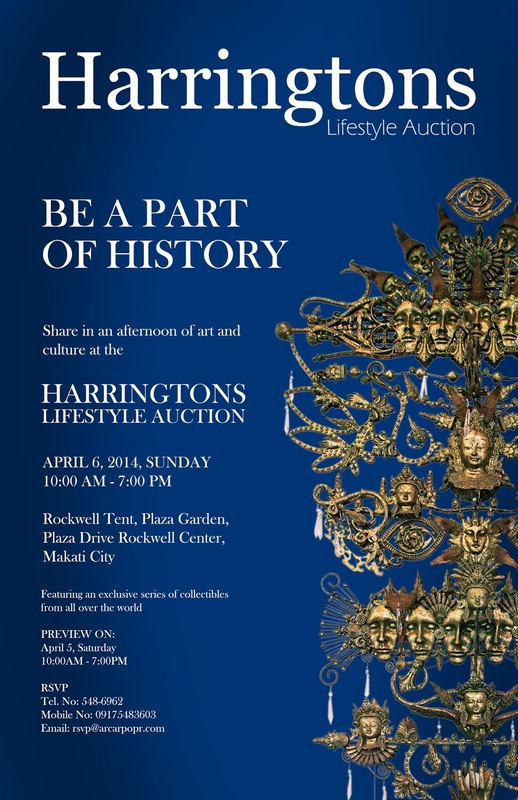 The Harringtons Lifestyle Auction invites attendees to be a part of history with the handpicked collection of unique pieces at their inaugural auction. 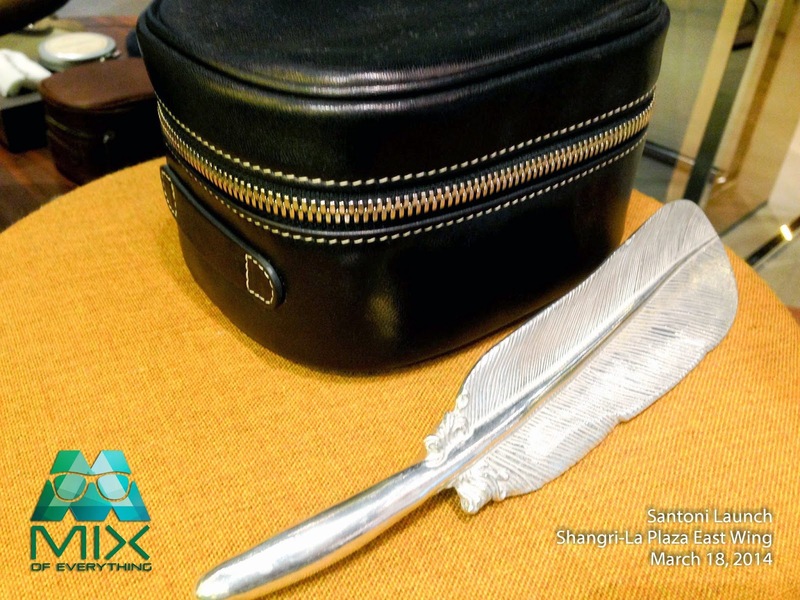 Featuring paintings by some of the top Filipino artists, sculptures, furniture, luxury cars, and more, the event promises a wide assortment to find and treasure. 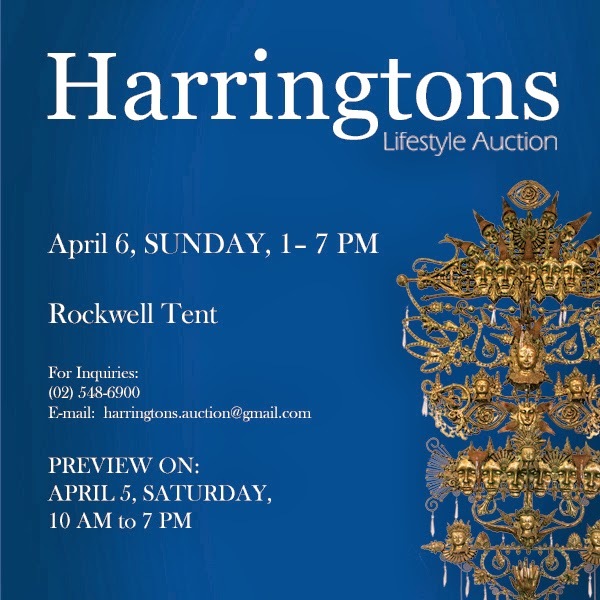 Harringtons’ Lifestyle Auction will take place on April 6, Sunday, from 1:00 to 7:00 PM at Rockwell Tent, Rockwell Drive, Makati City. 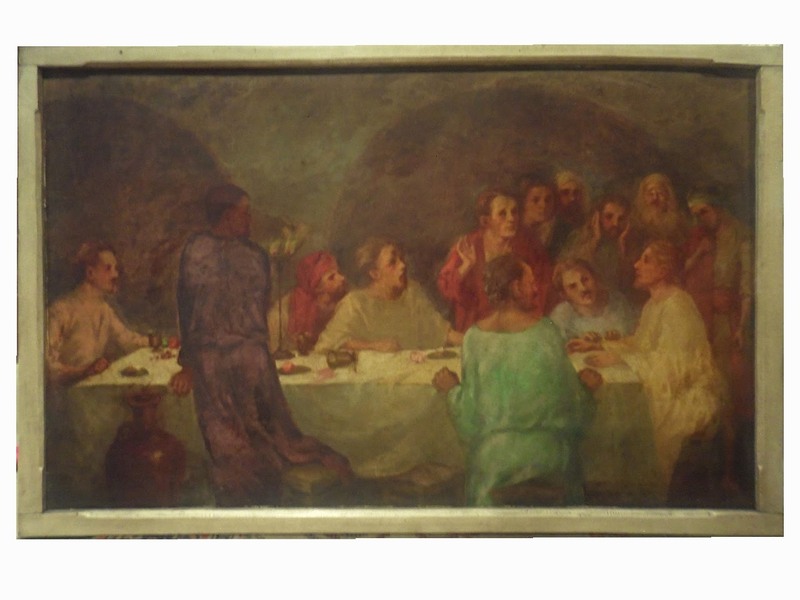 The preview for the auction will be held on April 5, Saturday, from 10:00 AM to 7:00 PM at the same location. Interested bidders may register on both dates or contact HMR at 548-6900 loc. 6962, for more details. 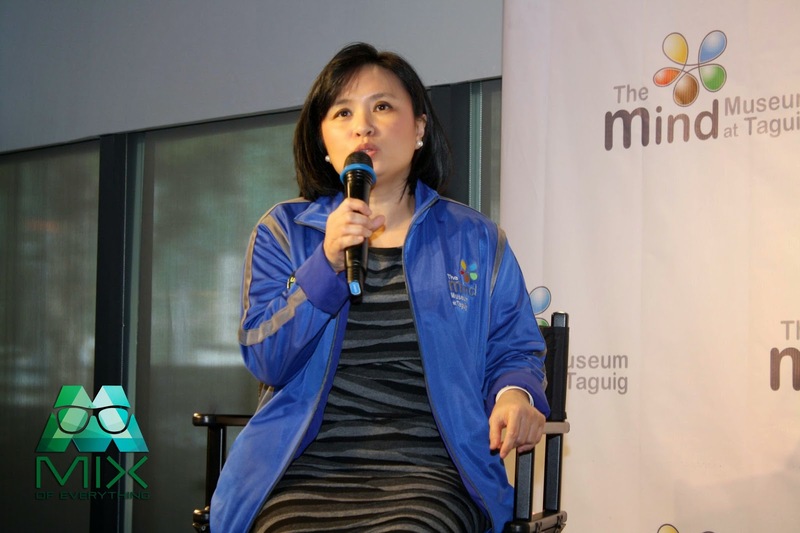 I was invited to celebrate with the Philippines’ first world-class science destination - The Mind Museum for their second anniversary last March 22. It was my 4th time to be there, and the place still blows my mind everytime I go around the museum. Everytime I go there there's always something new to explore. I guess that's one of the reasons why people keep on coming back and would want to experience the amazing journey again and again. The celebration took place at the special exhibit hall. Some booths we're set up and I was curious what those were for. Two of The Mind Museum's pillars joined us that afternoon for a chat and some sharing on what the museum has been up to for the past 2 years and plans for the coming months. Mr. Manuel Blas II, Managing Director and Ms. Maria Isabel Garcia who's the curator of of the Mind Museum. The museum has inspired more that half a million and more people are still visiting The Mind Museum since it launched in 2012. 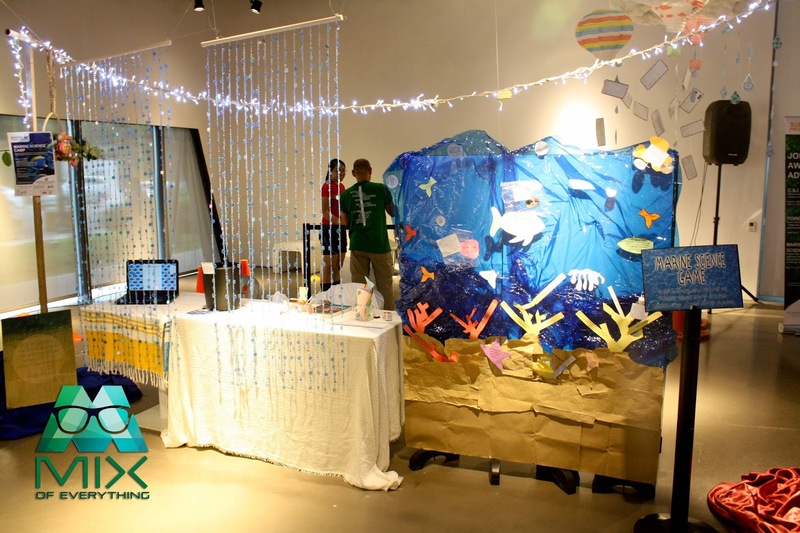 Students, families and the kids at heart have witnessed science and nature roaming, talking, exploding, and flying, be it thru the exhibits, or the museum’s educational programs. Mr. Blas shared "The museum has earned a long list of regocniitions local and international within its two years of existence. Earned a GOLD LEED certigication from the US Green Building Coundil for being a paragon of modern, environmentally-sustainable architecture. 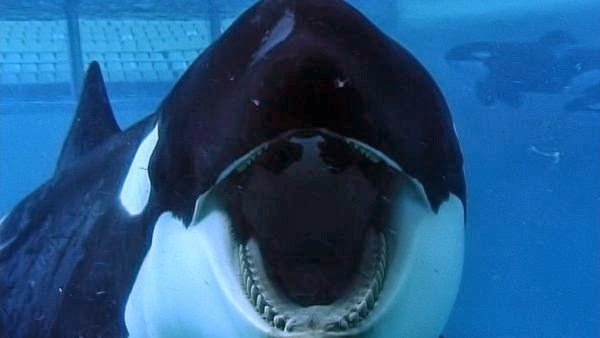 Its most recent honor is an award dubbed as the "Oscars" of the themed entertainment industry around the world. The THEA Award given by the Themed Entertainment Association (TEA) for this year's "Outstanding Achievement" citing that the museum "expands science into a fully experiential world,” and that “the thematic thread and artistic treatments throughout is what makes this project extraordinary by any standards”. Awardees include the Disney Parks, Cirque du Soleil and Singapore’s Gardens by the Bay. 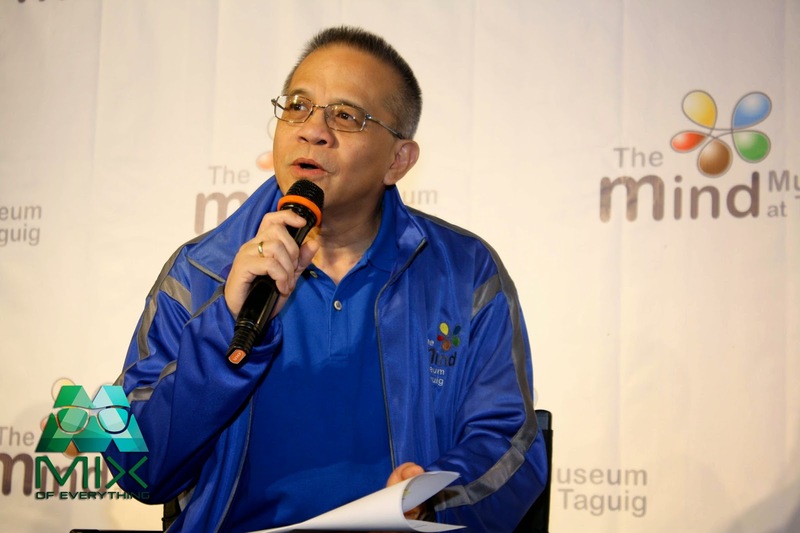 This is a proud moment for the Philippines for having the first science museum in Asia to receive such recognition in the entire 20-year history of the TEA." Ms. Garcia, the curator shared that this year, patrons can expect more awesome exhibits, shows and activities presented in a whole new level. For instance, one can now catch three planetarium shows, the newest being “Back to the Moon for Good”, narrated by actor Tim Allen. The stunning visuals and compelling narrative highlights the history of exploring the moon, and an inside look into the teams vying for the US$30 million Google Lunar XPrize, the largest incentivized prize in history. The Mind Museum premiered the show last February, alongside select planetariums around the world that are authorized to feature it. They also have a lot really awesome summer programs like..
Crime Scene Investigation 101 where kids can learn how to gather & analyze evidence from a crime scene. Marine Science Camp, where marine biologists from the California Academy of Sciences take the explorers to a closer underwater look into the coral reefs of Anilao, Batangas! 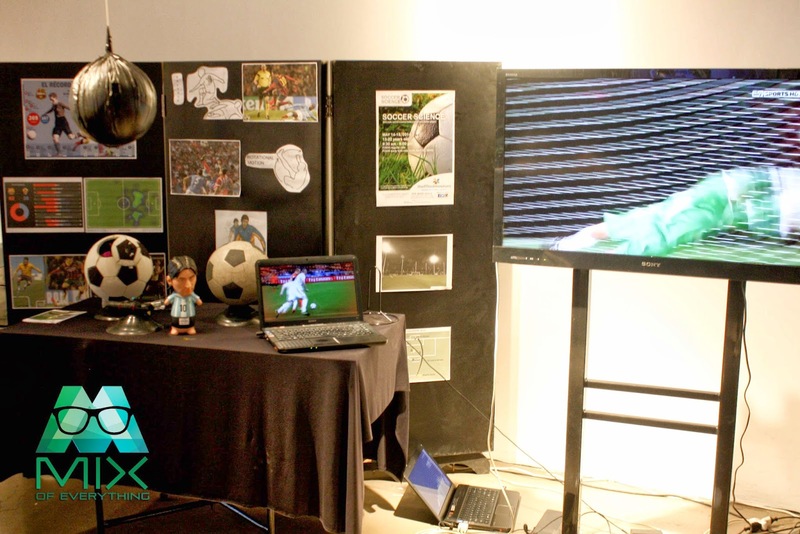 There’s also Soccer Science, a soccer game training and a science workshop rolled in to one. 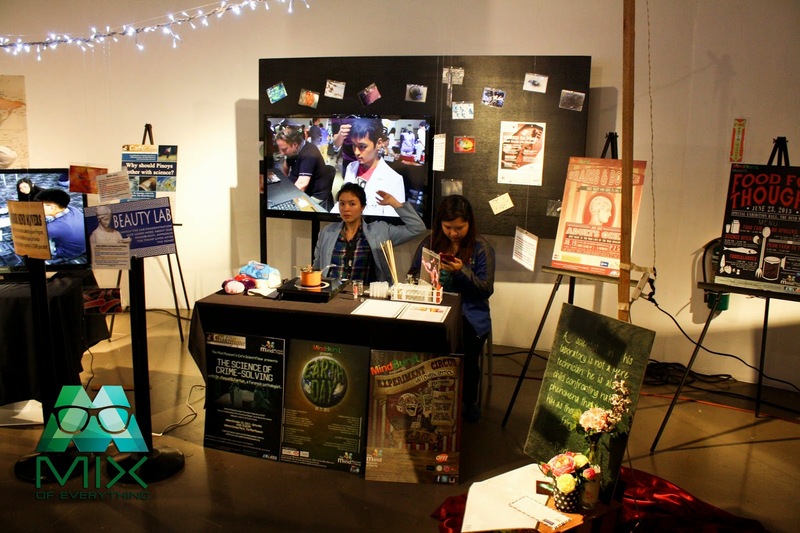 Ms. Garcia added "There are also the staple features such as monthly science parties called “MindBursts”, and free science conversations with rock star scientists from here and all over in “Cafe Scientifique”. " After the short talk, they informed us that there was this simple game, an amazing race type where we need to get a couple of stickers scattered around the different areas of the museum. Not just get, but there were some challenges. Both fun and educational! It was kind of nice to go around the museum again even though it was quick because of the game but it was amazing and exhilarating. I remember last year, one of my personal favorite is when the museum hosted the beautiful exhibit like the Da Vinci-The Genius exhibit. 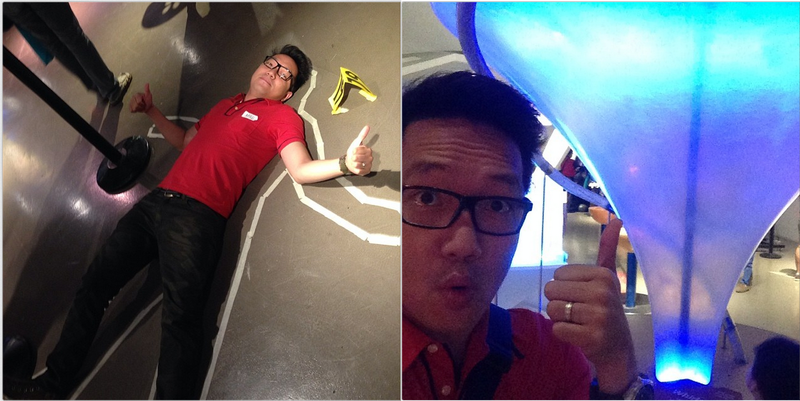 Here's me on my Instagram posts around the museum. Playing around with the crime scene and checking out the atom gallery. Oh and to share, by end of April, a portion of the museum’s second floor will be housing a special exhibition for a limited run. 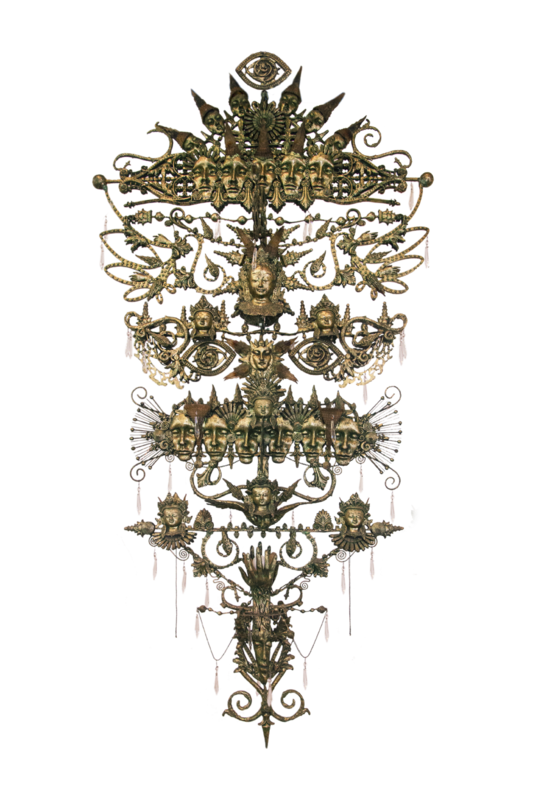 Launched in Singapore last 2013, “The Apocalypse Project – Imagined Futures” explores possible creative lifestyles under climate change. One area will display Climate Change Couture for the future. One thing’s for sure. 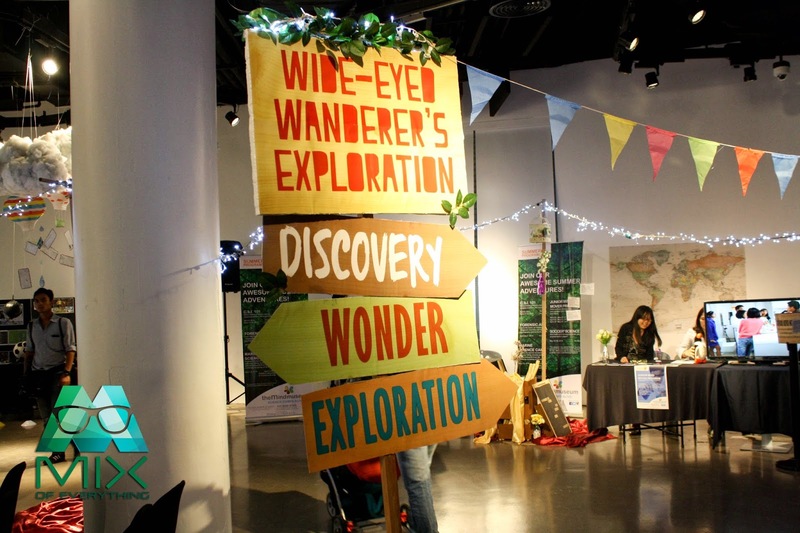 There’s always something new and exciting waiting around the corner at The Mind Museum. 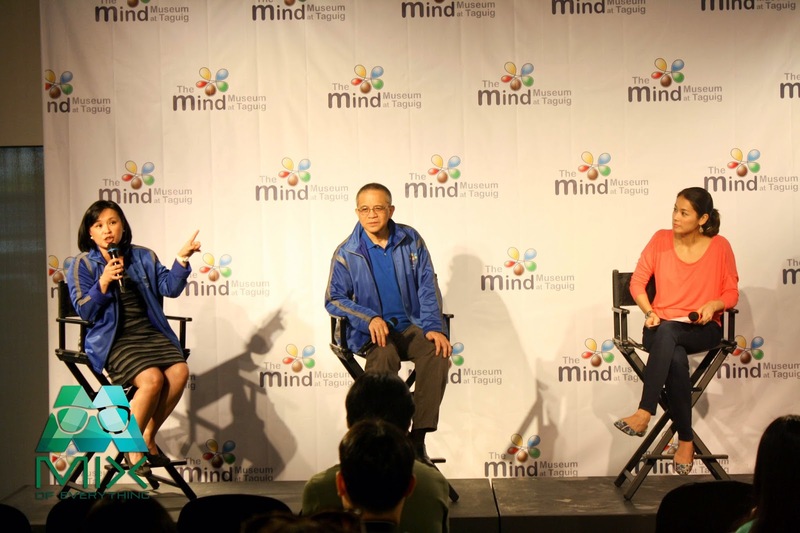 Happy 2nd anniversary Mind Museum! 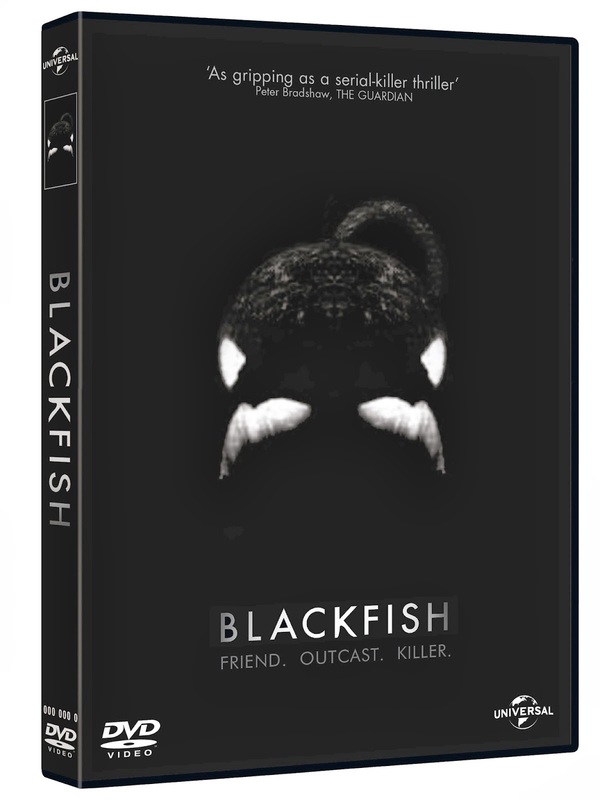 BLACKFISH is available on DVD at Fully Booked and select Astroplus andOdysseylive.Net branches. Four months after the tragedy of Typhoon Yolanda struck Leyte and neighboring areas, Jardine Distribution, Inc., remains steadfast in its commitment to work with the Department of Education in helping school children recover from the trauma of their experience and continue with their education. Since January, JDI has been distributing tents and learners’ kits to typhoon-affected areas including Leyte, Northern Cebu, and Ormoc. “Children’s education in Yolanda-hit areas has been severely disrupted because of the disaster. This deprives children not only of their sense of normalcy but also of valuable learning opportunities that are crucial for their future success. This is why we partnered with the Department of Education so we can do our part in helping these school children,” said Edwin Hernandez, JDI President and General Manager. In Leyte, JDI distributed 1,000 learners’ kits to replace school materials that were swept away by the floods. The company also distributed 120 tents that schoolchildren used as temporary classrooms while they were waiting for their schools to be rebuilt. “Helping these children resume their education is crucial to their psychological, moral, and intellectual recovery. 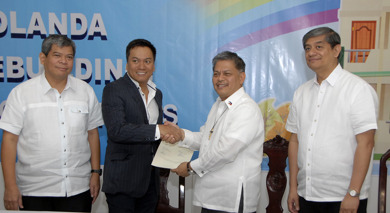 Based on our discussions with the DepEd, it was concluded that resuming regular schooling as soon as possible will ease the children back into a sense of normalcy and give them hope that things are starting to get better,” said Hernandez. JDI continued its efforts in Northern Cebu and Ormoc, where children were able to resume their schooling thanks to the learners’ kits and tents. According to Hernandez, the end of classes this March will not mean the end of JDI’s commitment to continue helping school children in Yolanda-hit areas. He pointed out that JDI was one of the donors that entered into an MOA with the Department of Education in January and the company is committed to honoring that agreement as long as its help is needed. “Yolanda was a huge tragedy but we Filipinos have proven that we can work together and, in a way, be bigger than any storm that comes our way, as long as we stay focused and committed to helping our fellow man. JDI is privileged to be able to do its part,” he said. Jardine Distribution, Inc. represents a number of local and global companies that provide world-class crop protection and construction chemical products. They are focused on the safe use of these products, providing technical support, and with due consideration of environmental protection. The candidates also invited their fans to vote them for the She’s So JAG Award 2014, an online contest on JAG Jeans Facebook page. Fans have a big influence in determining the She’s So JAG Award 2014 winner through the online voting process which counts as 50% of the score. The other 50% of the score will be based on Jag Creative Team judging results. Judging will be determined on the basis of who best exemplifies the JAG image selected from the Top 10 candidates with the most 'likes'. 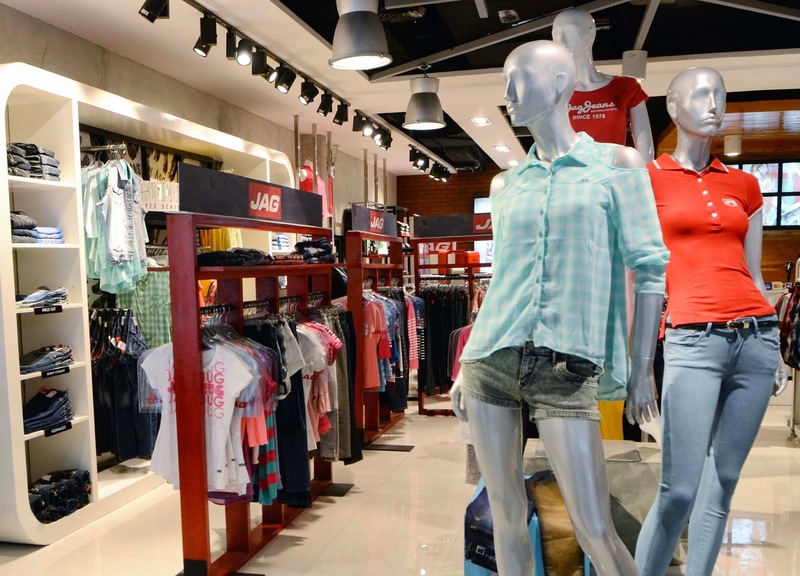 The She’s So JAG Award 2014 winner will receive Php50,000 plus a year supply of JAG merchandise. While one lucky fan will receive two VIP tickets to the Bb. Pilipinas Coronation Night plus an iPhone 5. From the double platinum success of Annebisyosa, Anne makes history by being the first ever Filipina recording artist to come up with a massive worldwide radio premiere. 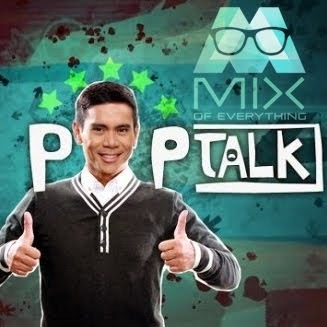 Her single, "Made in the Philippines" is composed by 3 Stars and the Sun (Billy Crawford, Jay-R, Kris Lawrence, Marcus Davis). Fans can't hardly wait for "the most Anne-ticipated forbidden album" of 2014 which will come out very soon. Music marketing and promotions by ETalent Management and Entertainment. 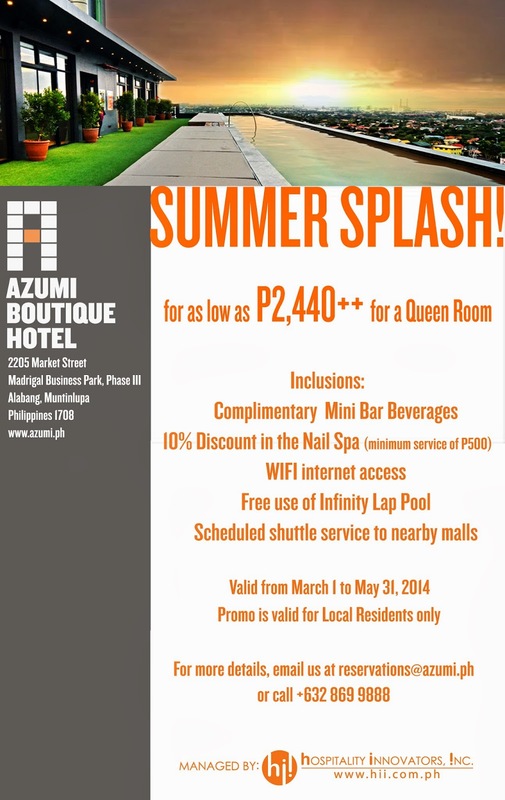 Splash into summer with AZUMI Boutique Hotel's amazing rates! 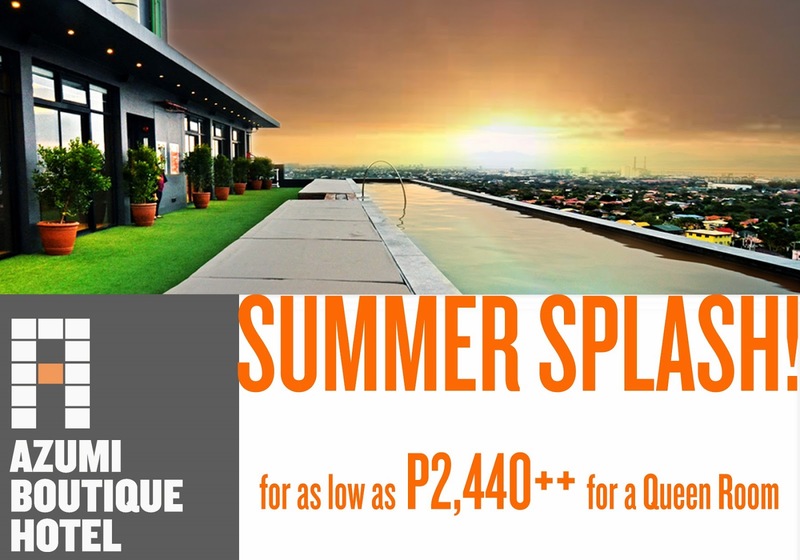 For reservation call them at +632 869 9888 or email us at reservations@azumi.ph. 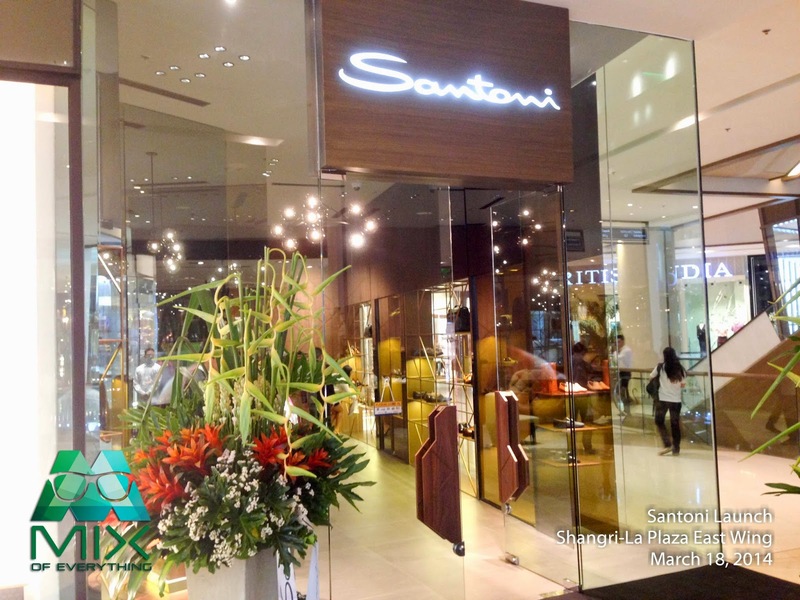 Top Italian shoe brand, Santoni, now in the Philippines! 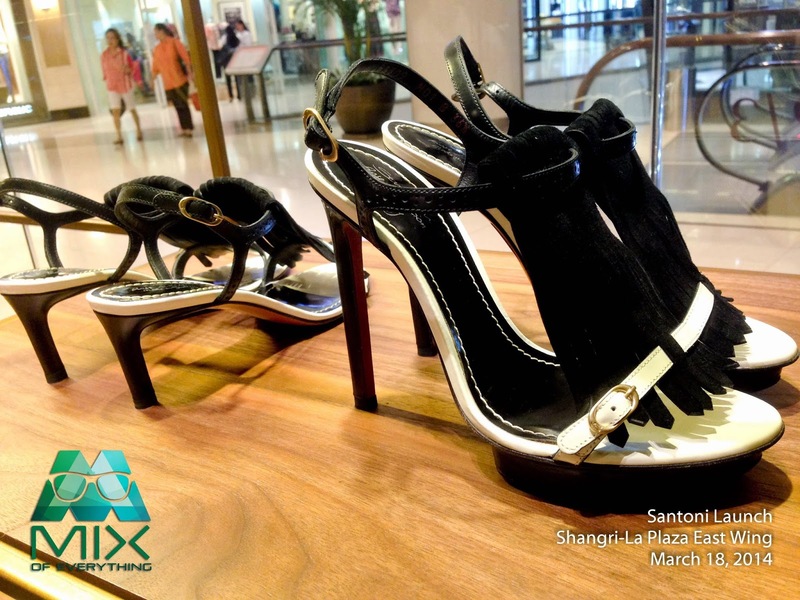 Class, sophistication, and quality, that is what the Italian show brand SANTONI represents.The luxurious and perfection in shoe design is now in the Philippines starting off with their Spring/Summer 2014 collection. 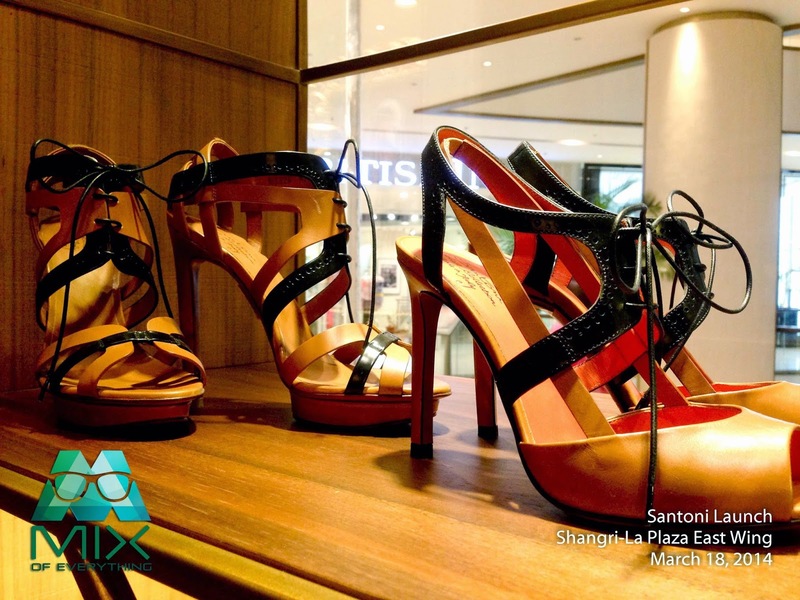 A known to shoe aficionados, Santoni is Italy's world-renowned shoe brand who's boutique just opened at the new wing of Shangri-la Plaza mall. 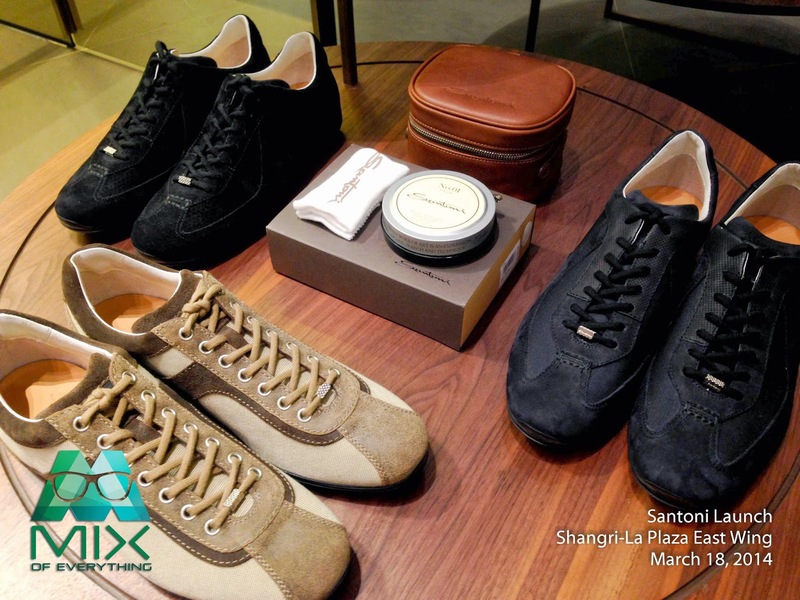 This move by the brand gives us Filipinos access to the brand's shoe creation, legacy and their distinctive features of pure Made in Italy shoes. 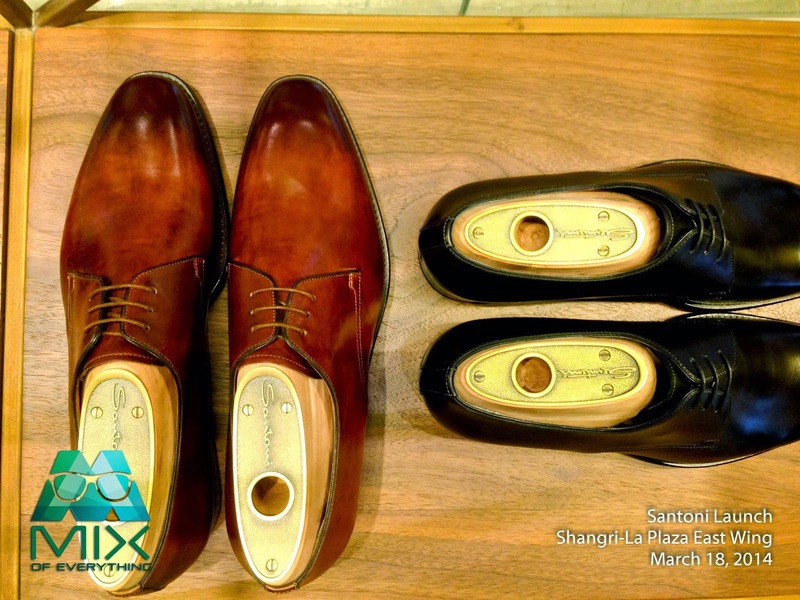 Quality and passion for details, that is the advantage of a Santoni pair workmanship. 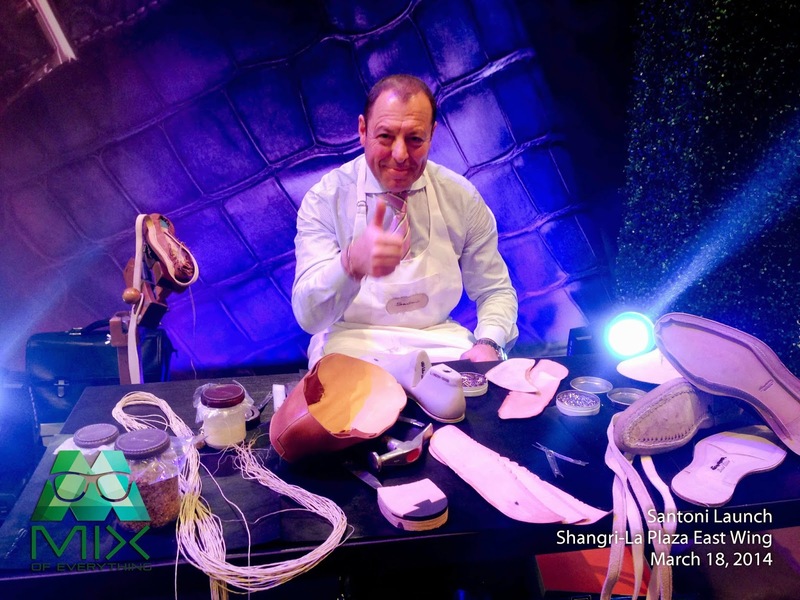 As part of the celebration for the much-awaited arrival of the brand in the country, Santoni flew in Italian master artisan Francesco De Santis to showcase the art of shoemaking for the ultimate Santoni experience, which is always at the service of the client and his wishes. Bearing in mind the desire of those who are hardly satisfied - style maniacs, connoisseurs and experts - Santoni also introduced the Fatto a Mano su Misura, a service, not a collection. The rituality makes this experience as unique as the final product. 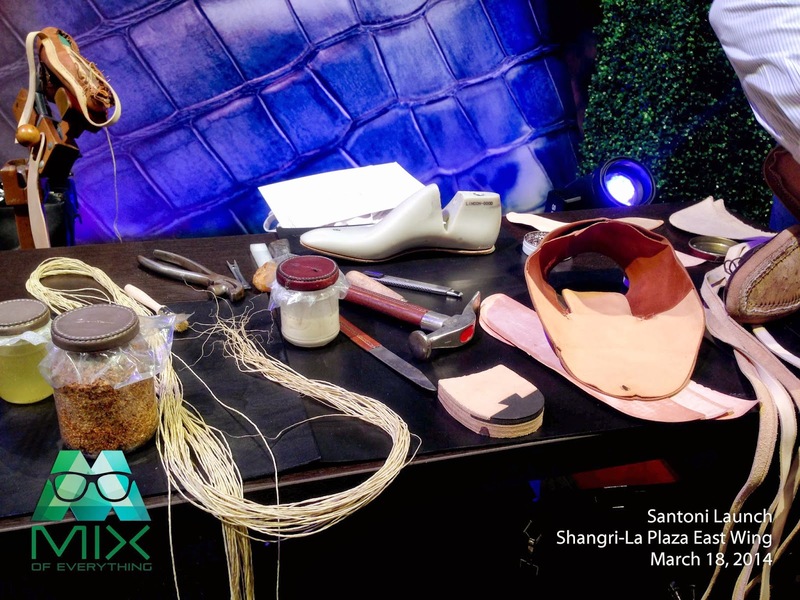 The creation of a handmade shoe follows a specific procedure: foot measurement, selection of the shape, of the hides, and of every slightest detail. Every aspect of the shoe is adjustable ad libitum to the client’s request. The construction process takes over two months, starting with the lasting and ending with the coloring. The pleasure is amplified by the waiting for the perfect object. The outcome is one-of-a-kind shoes, impossible to imitate as they are fruit of true genius and human manual ability, instead of being the product of a depersonalized machine. 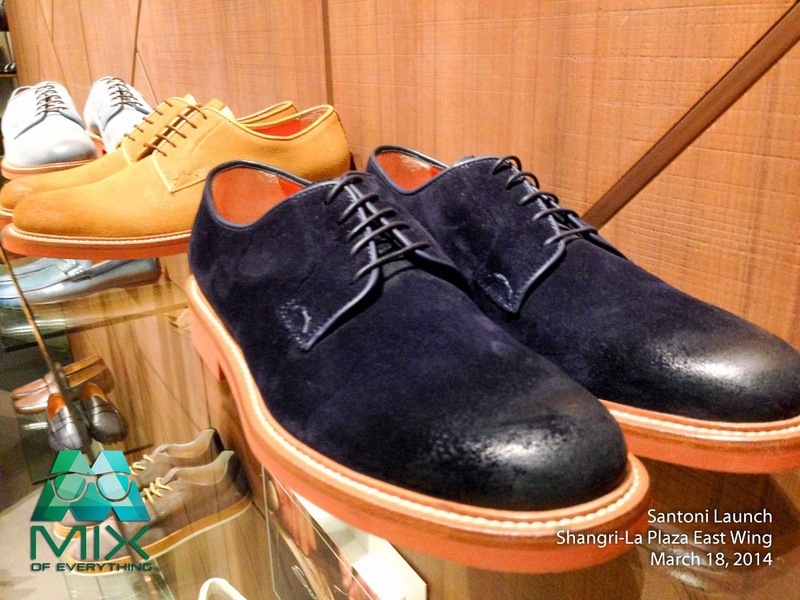 Fatto a Mano su Misura represents the evolution and peak of Santoni’s craftsmanship. 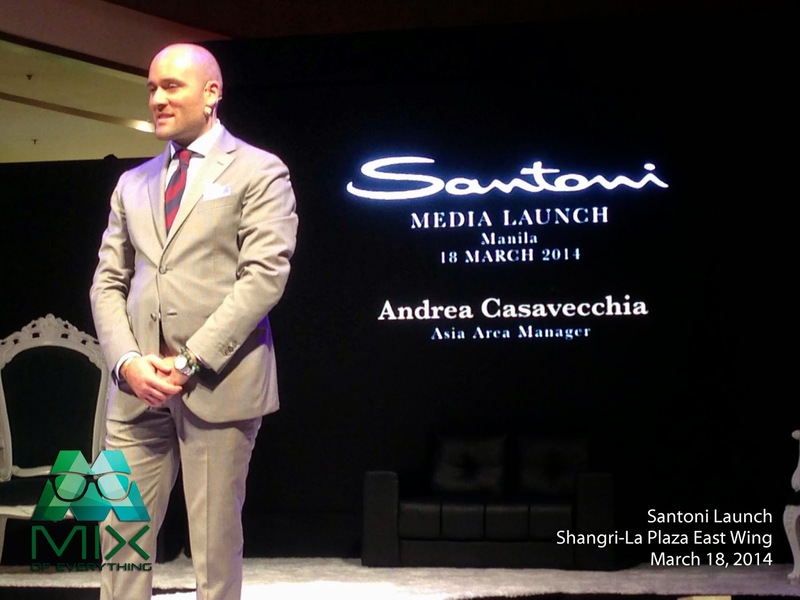 Luxury and selection are the key values that led to the partnership with brands sharing the same philosophy of Santoni and devotion to excellence. 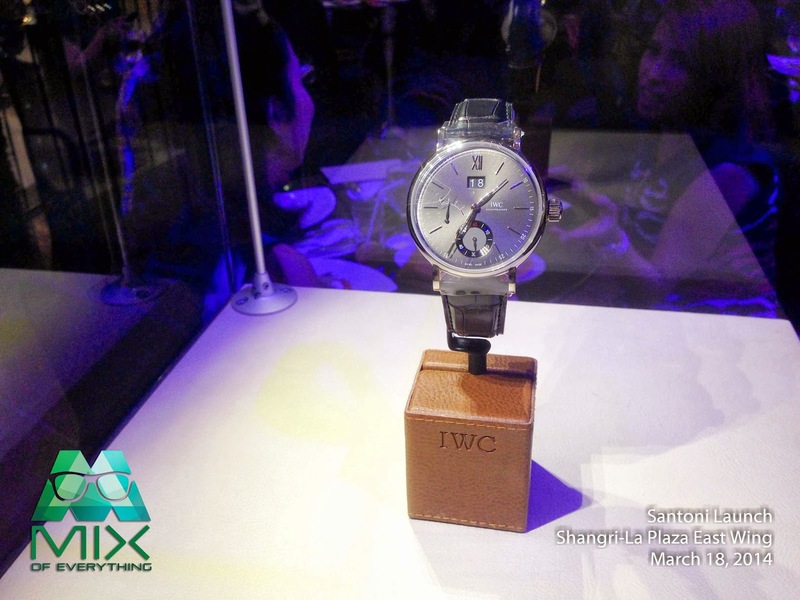 The two exclusive lines created with Mercedes AMG and IWC Schaffhausen enhance the well-known mastery of Santoni, applying it to sports cars and precision watches. Fine Italian straps from Santoni have been developed for fine watches – the unique product of a thoroughly successful cooperation. 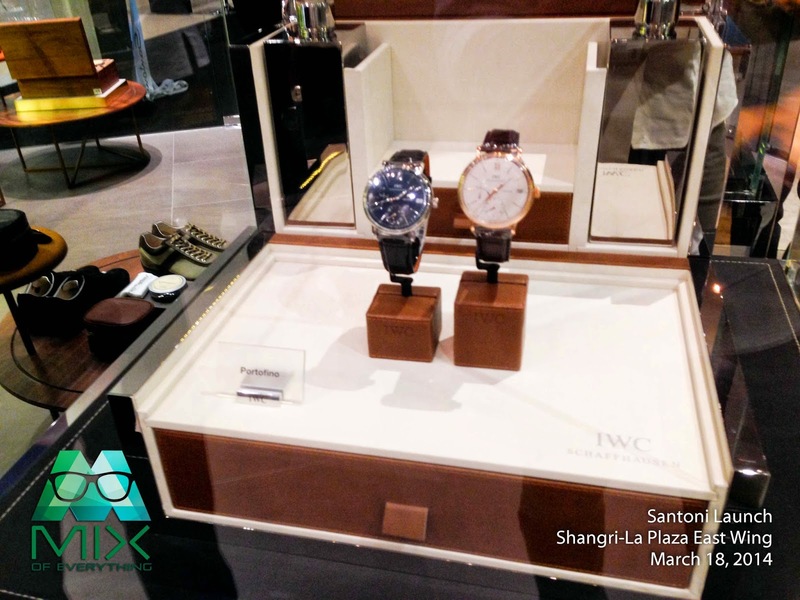 All variants of the Portofino Hand-Wound Eight Days are held by Santoni straps made exclusively for IWC Schaffhausen. They are available in two different shades of brown, as well as in black. 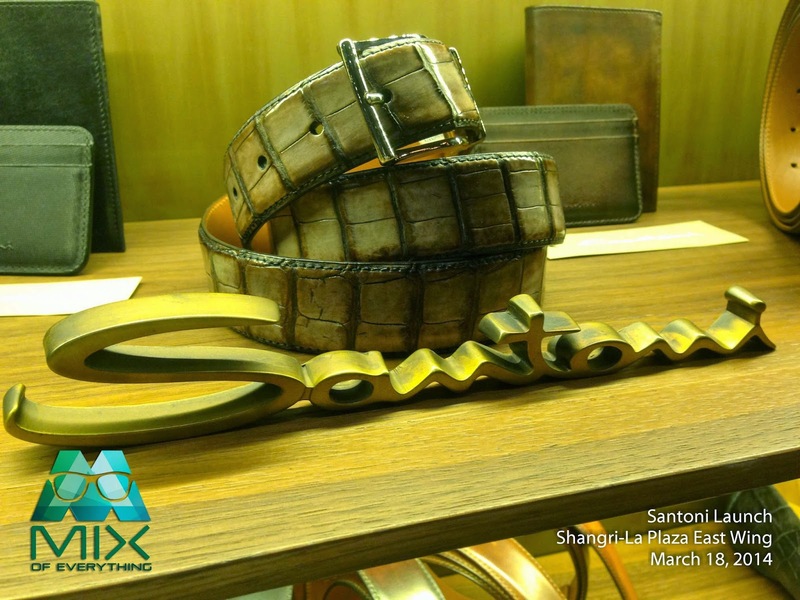 Santoni processes the leather to have an exclusive patina before it even leaves the factory. In addition to this characteristic dyeing process, the exquisite straps are also recognizable from the orange-colored leather lining, typical of Santoni. 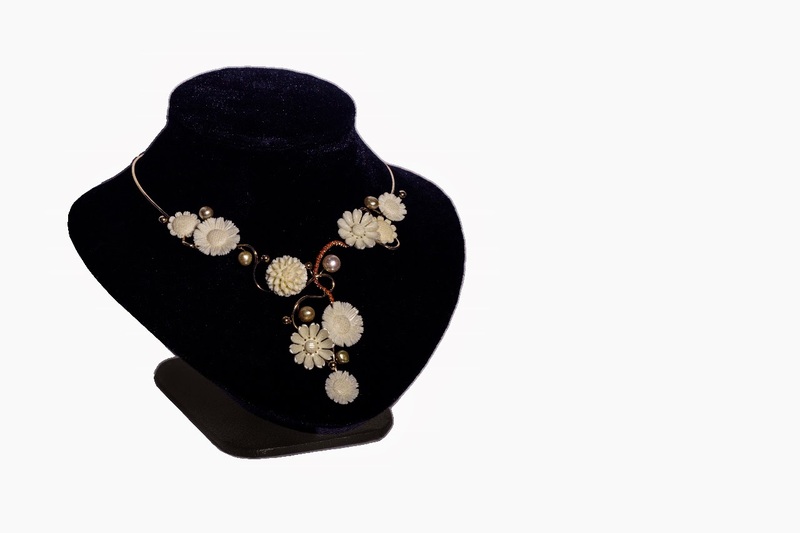 Furthermore, they come complete with pin clasps as standard; folding clasps are available as an option. Santoni for AMG shoes are a product of the know-how Santoni, which follows the Italian manufacturing heritage without neglecting the high performance while driving. Each model is made to perfectly fit the driver's style enhancing performance and comfort. The collection features the FIA Approved shoes, dedicated to professional racing. Light and fireproof, the shoes comply with the FIA's highest standards. The carbon sole improves the adherence on the pedal and wraps around the feet like a glove. 30,000 Euro. That is a crocodile skin right there. 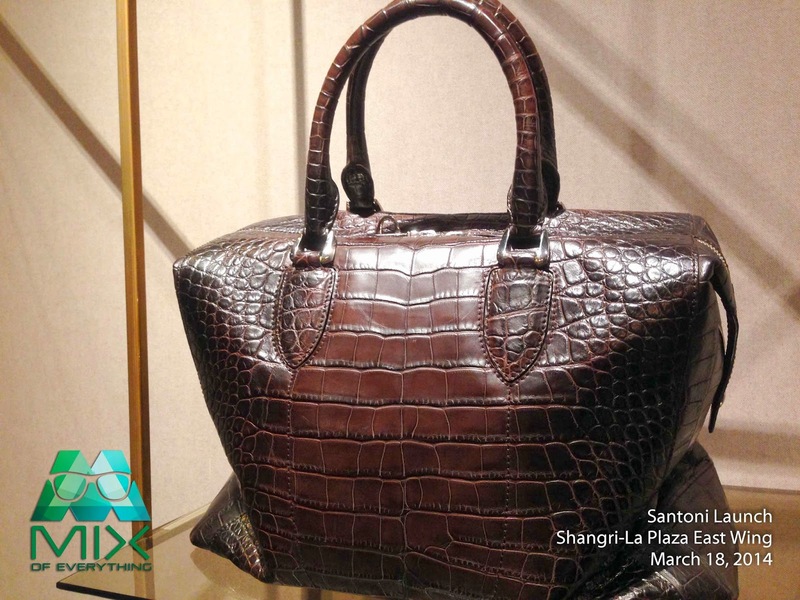 Besides collaborating with top brands, Santoni boasts Man, Woman Junior and Accessories collections. 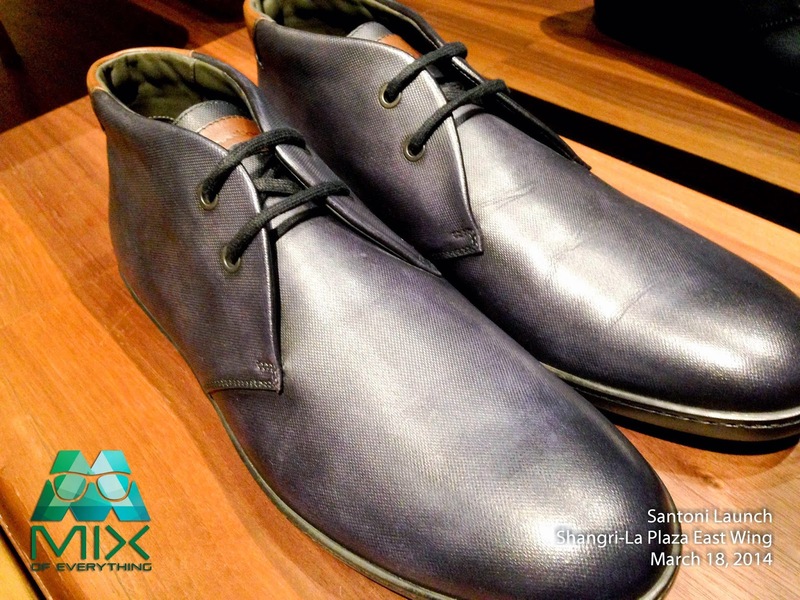 Fine sneakers for informal occasions and the most refined construction of Limited Edition men’s shoes stand out. 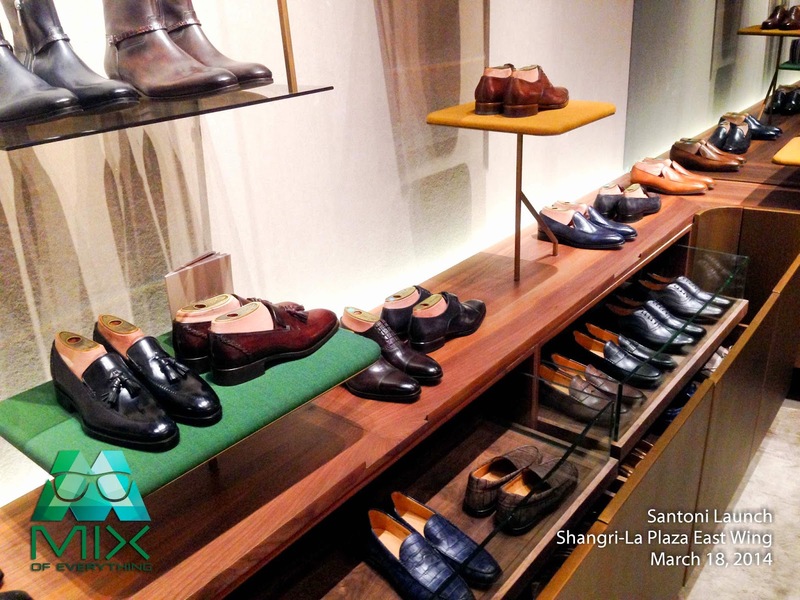 Santoni collections are available in selected boutiques worldwide and in flagship stores in Milan, Rome, Cagliari, Lugano, Cannes, Baku, Beijing, Cannes, Doha, Dong Guan, Guangzhou, Moscow, Shanghai, ShenYang, Singapore, St. Moritz and Tokyo. Below are more shots of the store and the shoes displayed. 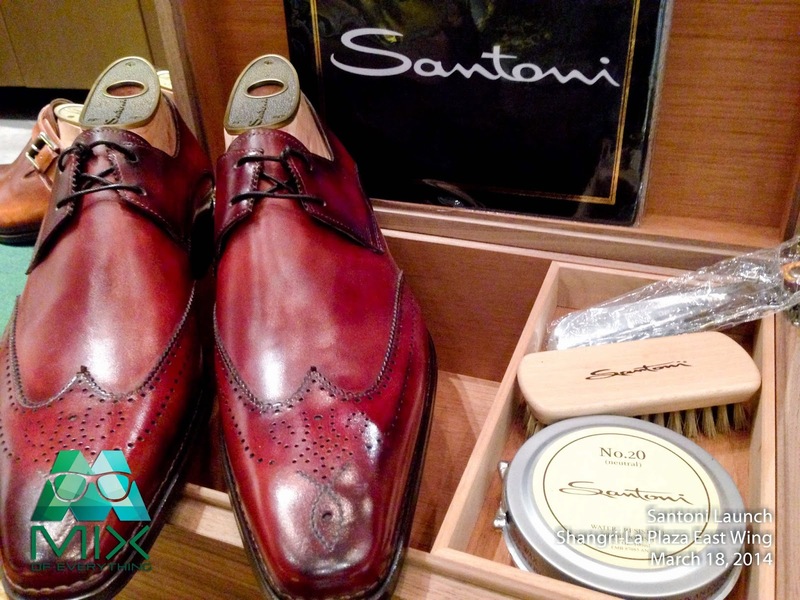 This red one in the box right here will cost you P126,000.00 That is the most expensive Santoni pair being sold in the Philippines right now. Oh you fancy huh! Womens shoes ranges about the same but a bit higher. 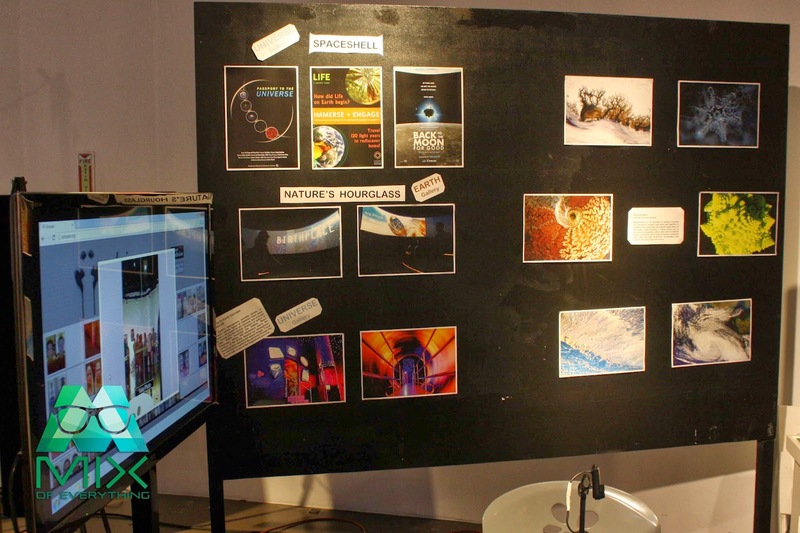 Future x Market changing how we look at Escolta. FROZEN now available on Blu-ray & DVDs! Yoshinoya 4th Gyudon Eating Contest!